Trace Your Coffee Using Blockc..
Anthracite is hard coal—the mineral’s purest form, containing little filler, it burns as clean as coal burns, and built the world in the wake of civilization’s transition from primarily using wood for fuel at the beginning of the Industrial Revolution. It makes sense, then, that the Seoul-based Anthracite Coffee was founded in a factory, in the city’s Hapjeong neighborhood. 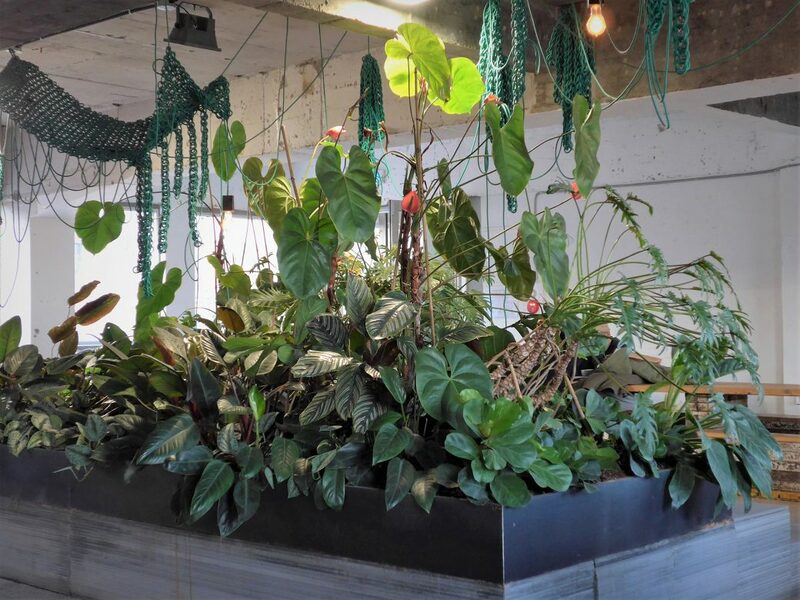 In total, Anthracite has three locations within metropolitan Seoul, as well as a fourth on Jeju Island, all catering to a mix of tourists and locals. 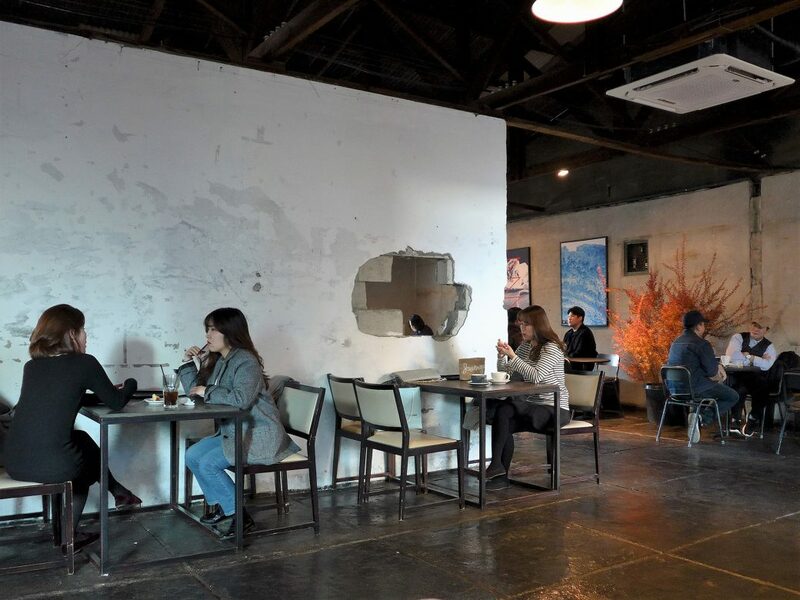 Formerly a shoe factory, the original Hapjeong space is marked by concrete walls, stone floors, and exposed beams. 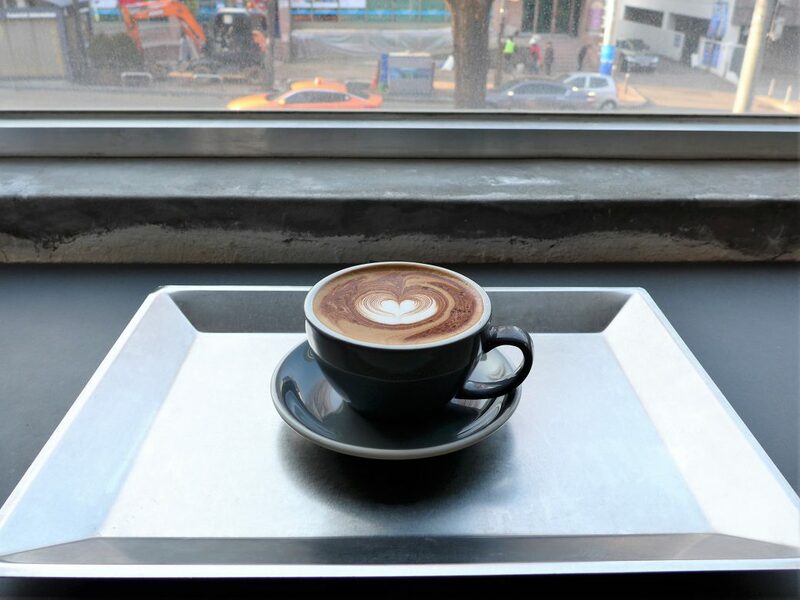 Its ample seating allows for patrons to soak in a kind of moody, industrialness that stands in stark contrast to the newer cafe and roasting space in the Hannam neighborhood, for instance. There, each floor is replete with massive windows that lend themselves to the light outside, and you can clearly see the roasting process on display in the back, as well as enjoy an indoor pseudo-green space. Regardless of which location a person visits, however, every Anthracite features the same selection of coffees, all roasted by Anthracite, whose bags bear the images of stark, angular pieces of coal and names like William Blake and Pablo Neruda. Anthracite’s lattes are at once smooth and assertive, with a nutty, spicy, almost chocolatey flavor that goes well with one of the many primarily French-inspired baked goods on offer. Anthracite is serious not only about providing excellent coffee drinking experiences, but also about educating folks on what they are imbibing. To this end, public cuppings are offered weekly on Tuesday evenings. Additionally, for patrons who are interested in diving deeper into the art of coffee brewing, Anthracite offers home barista courses throughout the year. From the information available on the webpage, the course provides instruction on a variety of coffee related subjects, from coffee history and varieties, sensory evaluations of coffee, and an array of extraction and brewing methods. At Anthracite, not only can you have your cup of coffee, but you can learn more about it, too. Anthracite has multiple locations in South Korea. Visit their official website and follow them on Facebook.